Promo pill bottle filled with mints. 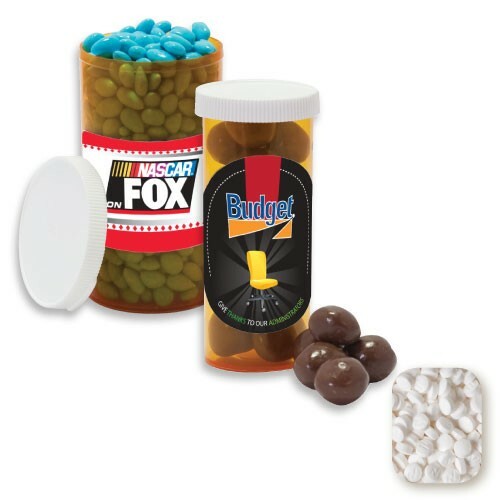 We''ve got the cure for boring giveaways -- A Promo Pill Bottle! It''s sure to be appreciated and remembered. Available in two sizes with your choice of fills. Reuse it when you''re done with the treats!. Dimensions: 1 1/4" dia. x 3". Pill Bottle is recyclable and reusable. Non-melt product.